SUNDAY, July 13, 2014 (HealthDay News) -- Eye tests could be used to identify people in the early stages of Alzheimer's disease, two new studies suggest. In one study, early results from 40 participants who used a certain eye test found a significant association between levels of beta-amyloid plaques in the retina of the eye and levels of the plaques in the brain. Beta-amyloid plaques in the brain are associated with Alzheimer's disease. This type of eye test could be used in conjunction with the brain scans and clinical tests currently relied on to diagnose Alzheimer's, study author Shaun Frost, of the Commonwealth Scientific and Industrial Research Organization in Australia, said in a news release from the Alzheimer's Association. The eye test could also be used to monitor the progression of Alzheimer's and a patient's response to treatment, Frost added. The preliminary results were scheduled for release at the annual meeting of the Alzheimer's Association in Copenhagen, Denmark, which started Sunday. The full study, involving 200 participants, is expected to be completed later this year. 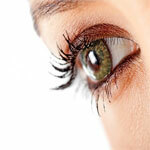 Another study presented at the meeting utilized a different type of eye test. It found a strong link between levels of beta-amyloid plaques in the lens of the eye and in the brain. "There is a critical need for a fast, dependable, low-cost and readily available test for the early diagnosis and management of Alzheimer's disease," Dr. Pierre Tariot, director of the Banner Alzheimer's Institute in Phoenix, Ariz., said in an Alzheimer's Association news release. Tariot was a principal investigator in the study.